I got to know Max Siegel in 2008 while writing a story about him for Charlotte magazine. At the time, he was president of Dale Earnhardt Inc. (DEI), the famed NASCAR franchise founded by the racing legend it's named after. Max allowed me to follow him around his office and the race shop as well as sit in on meetings. After this close interaction over a couple of days, I walked away impressed--just as most people are--by the man who has for much of his career been a pioneer. Today, Max runs The 909 Group, a sports, entertainment, and lifestyle marketing firm he founded, and through it he oversees several ventures. 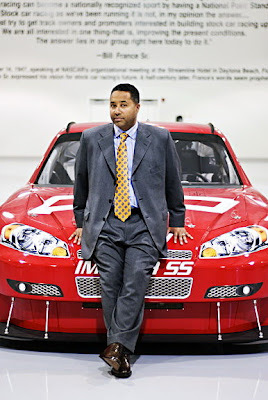 He spent most of his career as an executive and attorney in the entertainment industry, but once he ventured into NASCAR a few years ago, he's seized the opportunity to bring his experience with leading successful brands to help NASCAR's ongoing effort to improve diversity in the sport. Max oversees NASCAR's Drive for Diversity program, which works to develop minority and female drivers and crew members. He's also CEO of his own race team, Revolution Racing. 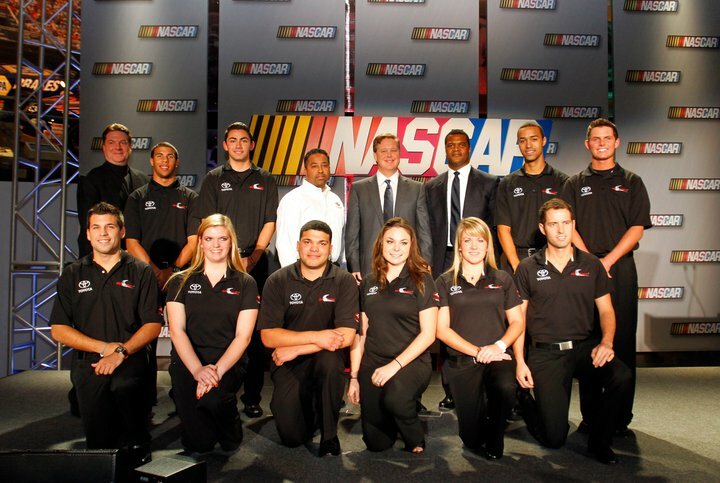 Max has helped make NASCAR's diversity efforts more visible. The reality show he created, Changing Lanes, aired last fall on BET, showcasing minority and female drivers competing for a spot on his race team. A great deal of the footage in the eight one-hour episodes was shot in Charlotte and Concord. The 2011 Revolution Racing team, which competes in the NASCAR K&N Pro Series East. More recently, Max partnered with NASCAR Media Group and ESPN Films to produce Wendell Scott: A Race Story, which premiered on ESPN last Sunday right after the Daytona 500. The documentary tells the story of Scott, who remains to this day the only black driver to have won a race in NASCAR's top series (today known as the Sprint Cup), which he won in 1963. A Race Story combines historical footage with re-creations and interviews from members of Scott's family and racing legends. NASCAR Hall of Fame is showing the film Saturday, March 5 at 11 a.m., 1 p.m., and 3 p.m.
You can learn more about Max Siegel, his accomplishments, and business ventures by visiting www.maxsiegel.com.